I liked this film the first time I saw it, but rewatching for this review it didn’t make quite the same impact. 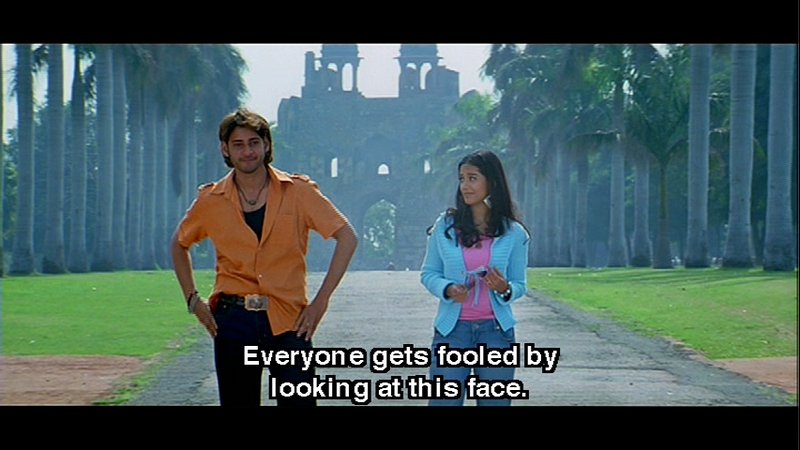 However I still enjoyed the Mahesh/Amrita Rao combination and both actors do what they can in what’s essentially an over-blown and excessively dramatic story. There isn’t too much comedy which makes it a little more appealing, and although it’s fairly dark and quite violent in parts, it’s all much too over the top to take seriously. There is good chemistry between the lead pair and a suitably maniacal villain who refers to himself in the third person but be prepared for a lot of fake blood (even some that’s CGI), plenty of gunfights and a number of plots points that require major suspension of disbelief. 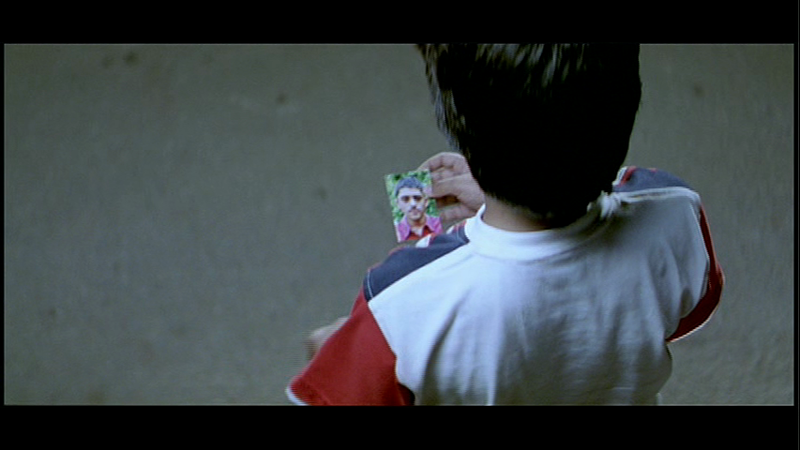 The film starts with some cute child actors who play the young Mahesh and Amrita. Chhotu is an orphan who gets the fairly standard ‘Indian filmi orphan abuse’ from all and sundry while still managing to have ideals and a reasonable wardrobe. One day while selling balloons, he gives one to a young girl leaving school even though she hasn’t got any money but promises to pay him the next day. Later, she gives him an umbrella which makes a big impression since it seems no-one has ever given Chhotu anything before. After he stops their car and warns the young Amrita’s parents about a wash-out in the road ahead, they decide to take him home and begin to adopt him into their family. They give the young boy the name Athidhi as he is their ‘guest’, but when the parents are gunned down by a psychotic thief one night, it’s Athidhi who gets the blame for the double murder. Because of course that makes sense! 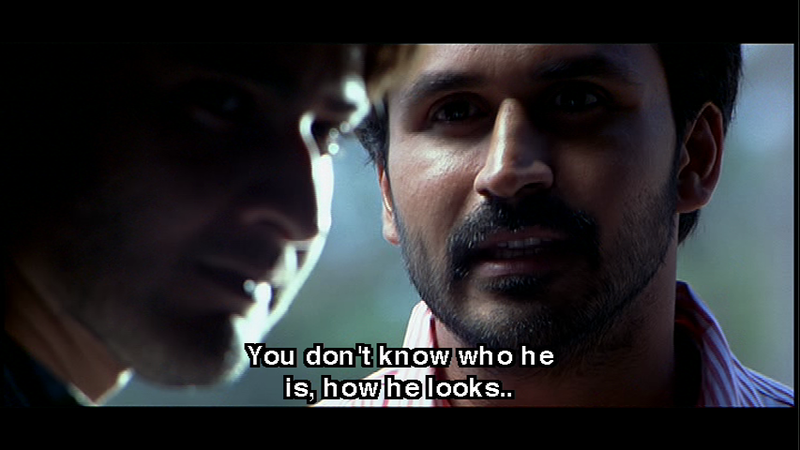 Athidhi is sentenced to 13 years in jail, and after his release devotes his time to finding the real killer. He’s also determined to find Amrita and make sure she’s happy but is hampered in both his endeavours by a major lack of information about both the identity of the murderer and the location of Amrita. On the plus side he does have a picture of the killer since the thief left a wallet containing his photograph behind at the scene of the crime, but there are no other clues. In between popping in and out of jail for his hooligan-like tendencies, beating up various thugs and trying to track down a killer, Athidhi manages to find time to run a coffee shop near the Red Fort, although he doesn’t seem to actually spend much time there. 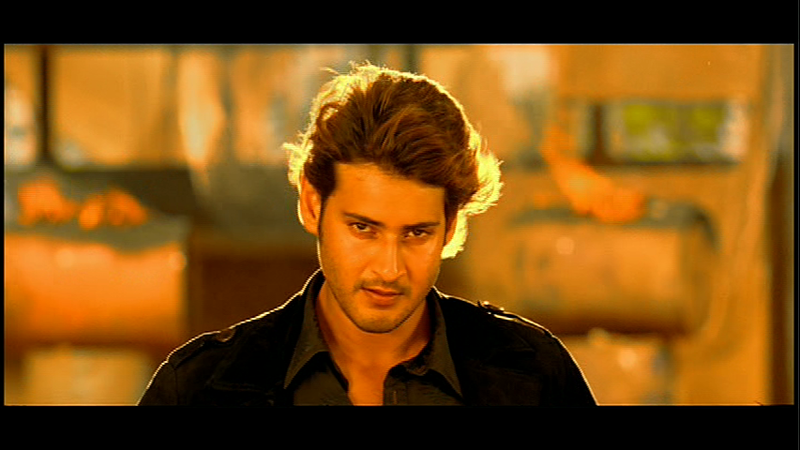 Mahesh has a different look here with long floppy hair and seems to be permanently standing in the path of a wind machine dialled up to max. 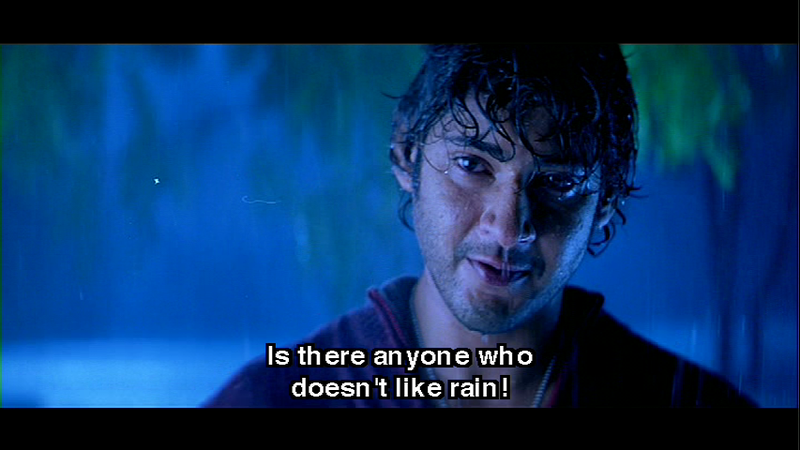 Unless he’s in the rain that is, which does vastly improve the hair. The overall effect is to make him even more baby-faced than usual and there are even a few dialogues which make reference to his innocent appearance. But we know better. 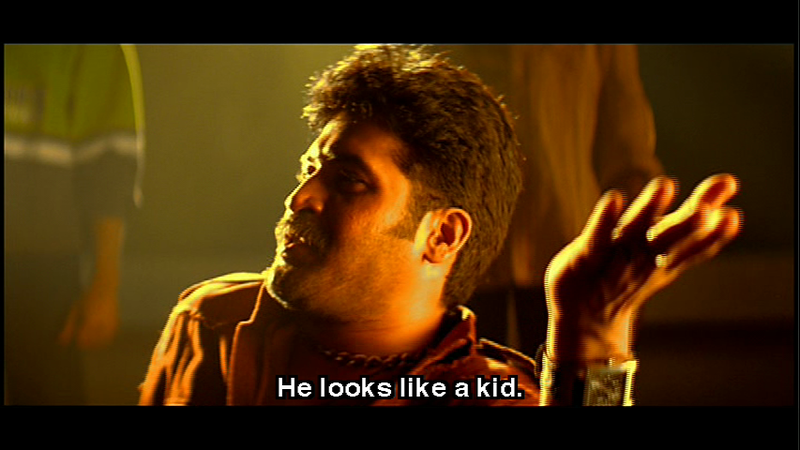 And it doesn’t take long – the first fight scene comes after straight after Athidhi is released from jail again, and has Ganni (Subbaraju) and his gang as the recipients of some fairly typical Mahesh mayhem. That leads straight into the first song, which seems to have been heavily inspired by Mad Max and features some fight style choreography which didn’t appeal at first but it’s grown on me. Meanwhile the young Amrita has grown up to be Amrita Rao, studying art at college in Delhi and generally seems fairly content. She’s polite and well-mannered on the outside, but inside her own mind is much feistier and has moments of fantasy where she imagines herself as a Matrix-style super-woman. However her inner hero gets her into trouble when she takes on a gang of drug dealers who chase her into the path of an oncoming vehicle. In the aftermath Athidhi performs some lifesaving mouth to mouth, although not quite in the approved St John’s Ambulance style, and as an afterthought he also beats up the drug dealers. Amrita is pretty happy about the whole experience despite her near death and stalks Athidhi since after all we know that’s the way to show true love – right? There’s a long and fairly pointless sequence with the dreadfully styled and characterised Danny Bhai (Ashish Vidyarthi) and eventually Athidhi finds out that Amrita is the girl he knew as a child. But she’s already left for Hyderabad where she lives with the home minister (Nasser) and his family who are her aunt and uncle. 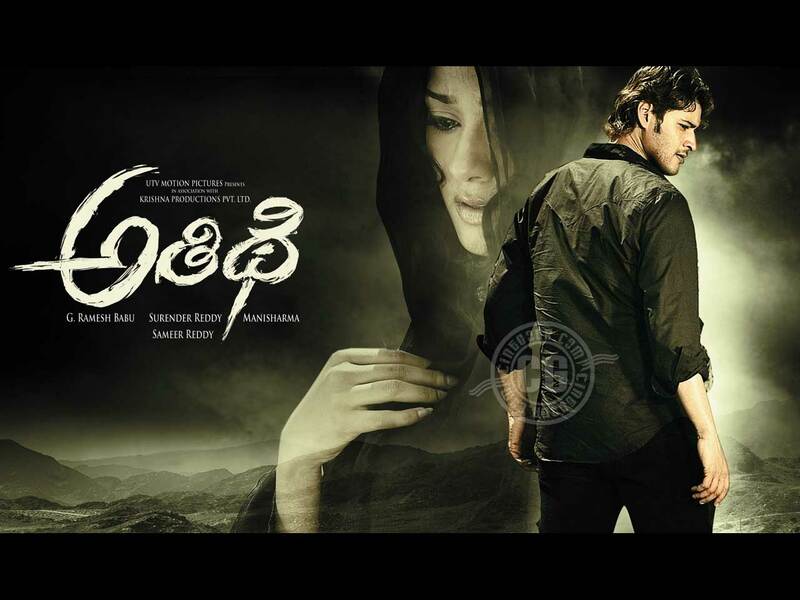 So the action moves to Hyderabad where Athidhi foils various plots to kill Amrita and her cousin Aishwarya (Baby Anni), including one by Danny Bhai that leads to Athidhi discovering the identity of the man who killed Amrita’s parents. And as chance would have it, Hyderabad is being terrorised by this same killer, who now goes by the name of Khaizer and is running a child kidnapping ring. 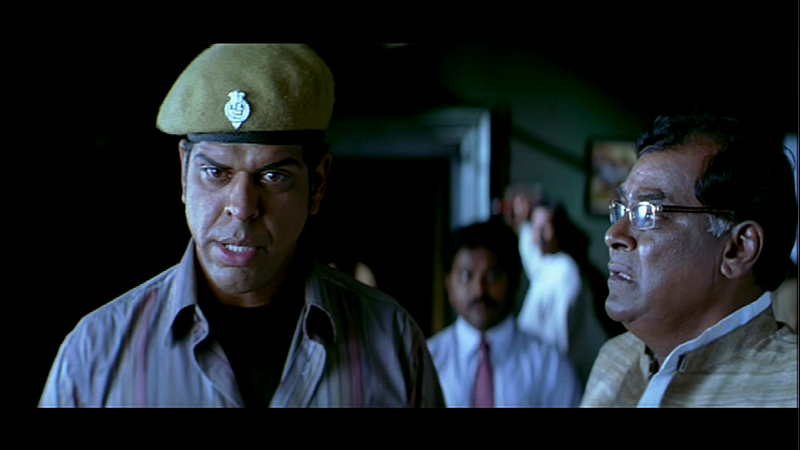 To add more murk to the mix, Special Officer Ajit Shastri (Murli Sharma) has been brought in from Delhi to catch the gang and making sure he doesn’t succeed, Kota Srinivasa Rao does his usual corrupt politician thing. So, will Amrita discover who Athdhi really is, will Athdhi discover who Khaizer really is, and will somebody finally cut Athidhi’s increasingly bouffy layered hair?! It takes another couple of hours and quite a few twists and turns until we finally realise that no-one is ever going to successfully wield scissors anywhere near Mahesh. Oh, and there is finally resolution to the rest of the plot too. The story does have some good points but each is strung out for so long that the whole film drags. It could easily have been cut by at least half an hour which would have made it a tighter and more thrilling movie. The plot twists are good, although derivative, but again take far too long to reveal, and the final climax is marred by some bad CGI effects. Although there is plenty of action it’s mostly gun fights which are less satisfying to watch. 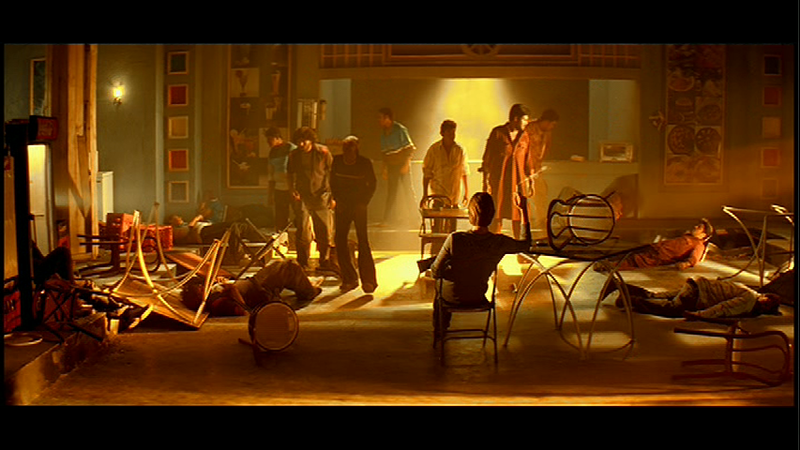 The fight scenes, while often well-choreographed by Stun Shiva, are interrupted by too much slo-mo which really just reveals that no-one actually ever does hit anyone. The lighting is really variable as sometimes it was excellent, for example at a number of scenes at the Red Fort, and yet at other times everyone appeared to have lizard skin and jaundice. I’m sure the effect was meant to be very stylish but instead it just looked like the levels were completely wrong. Brahmi, Sunil and Venu Madhav appear for some short comedy scenes but otherwise it’s fairly relentless death and destruction. The music by Mani Sharma is catchy and I really like the soundtrack, but the picturisations don’t work very well and the songs appear oddly inserted into the narrative. Malaika Arora pops up in a typically sleazy item song and the choreography generally seems under par for a Mahesh film – especially with someone like Amrita Rao who can dance. 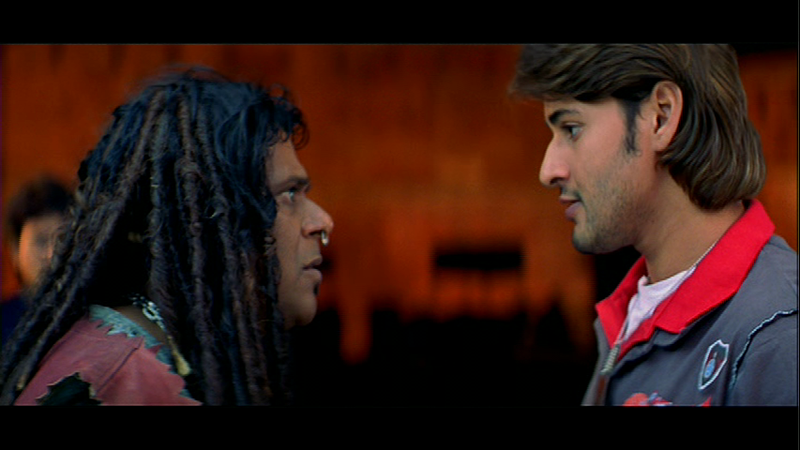 This song features an even more multilayered than usual Mahesh (plus the hair – which by this stage even features in the choreography), while someone in the costume department obviously had a grudge against Amrita. It’s a good song though, and I enjoy watching the reactions of people in the background as they stop and stare. 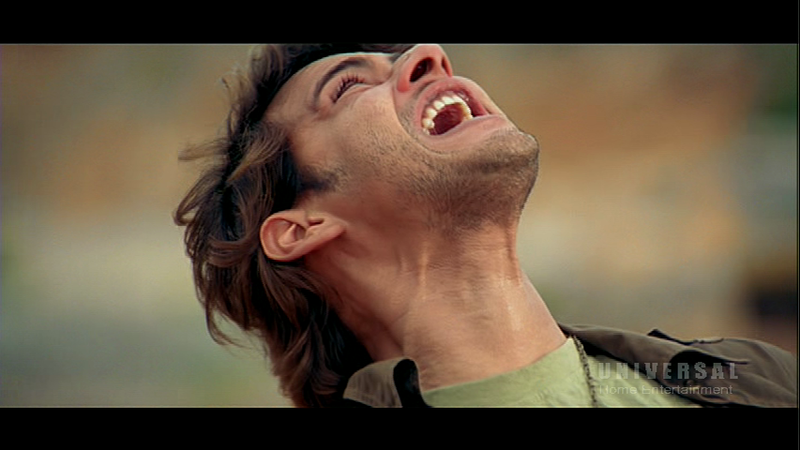 While I think there is more here than just a film for Mahesh fans it’s probably best to watch with the remote to FF past some of the interminably long expositions by the villain. Generally performances are good but the film is let down by the mish-mash of a story and lack of editing. I still give it 3 stars though, mainly for Mahesh and Amrita and for the bonus presence of both Subbaraju and Ajay which always boosts any film for me! This entry was posted in Tollywood and tagged Ajay, Amrita Rao, Ashish Vidyarthi, Athidhi, Baby Anni, Brahmi!, Kota Srinivasa Rao, Mahesh, Mahesh Babu, Malaika Arora, Malaika Arora Khan, Mani Sharma, Murli Sharma, Nasser, Stun Siva, Subbaraju, Sunil, Surender Reddy, Venu Madhav. Bookmark the permalink. I nice content to read.. nice blog brother….. i will come back…. Here is a nice Jr NTR dance synced to Gangnam style. That was great – fitted the music so well!